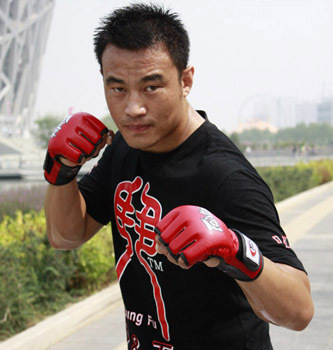 Zhao Zilong took part in China Wushu Sanda Championship of 2000 and 2001. He won Chen Junqi from Shaan Xi and Liu Erjun from Beijing, won Wu Songlu and Qing Gele in 2002, which led him to the last battle with Li Tiefeng and Pan Hao and won the chance of fighting with the arena master. In 2000 he got the third place of National Wushu Sanda Tournament, and became the fifth of the tournament. in 2001 he got sixth in the Ninth National Games and Naitional Wushu Sanda Tournament.